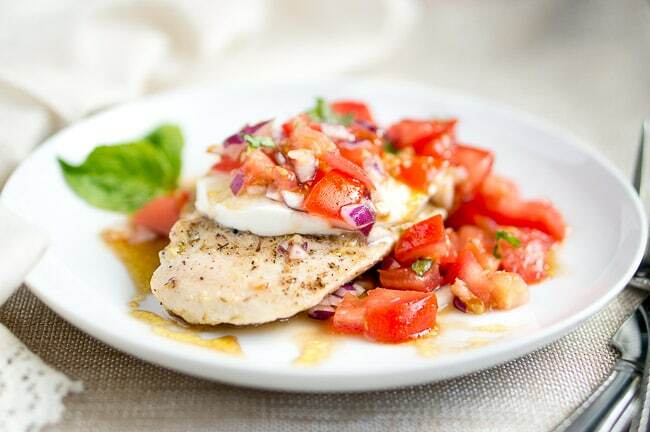 My husband and I were in California couple weeks ago, and I had this delicious grilled chicken Caprese at a restaurant one day. It was topped with mozzarella and tomato relish. It was really good and I thought I will have to recreate it for my food blog. I like to season the chicken breasts with herbs and spices, it adds so much more flavor. 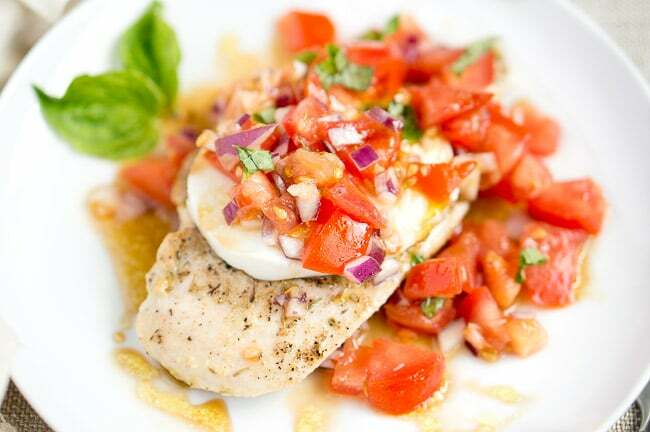 And if you have time to marinate the chicken breasts, they will be much more flavorful and tender. But you can skip this step if you don’t have time. It will still turn out great! For the tomato relish, I mixed tomatoes, onion, and garlic and seasoned with salt & olive oil. It’s simple but big on flavor. It’s similar to my tomato salad recipe. 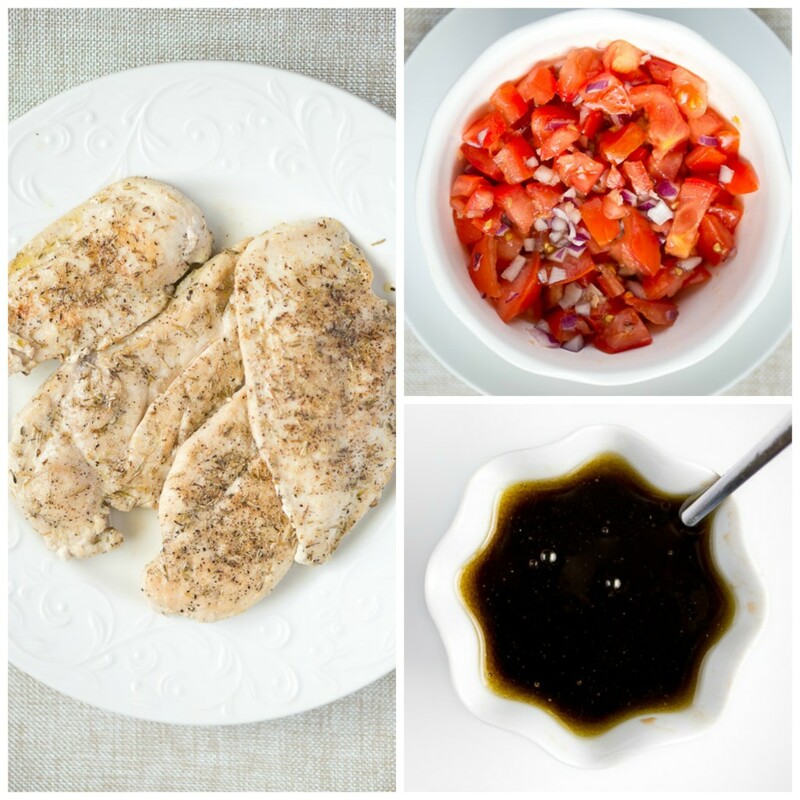 The honey balsamic vinaigrette adds a really nice sweet tangy flavor to the tomato relish. You can plate it over rice, quinoa or serve it only with the tomato relish. 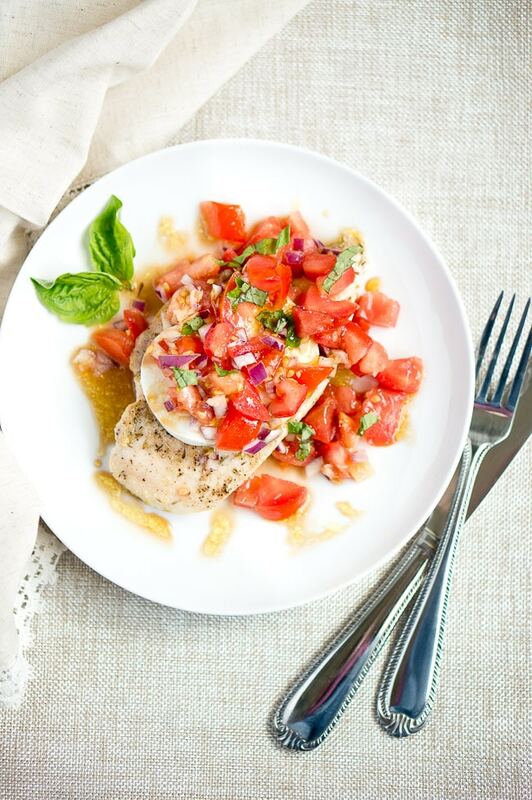 It’s a perfect and light summer weeknight dinner! 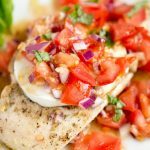 Grilled Chicken Caprese is a light and delicious weeknight meal, ready in less than 30 minutes. It's also healthy, low-carb, gluten-free and grain-free. What a perfect summer meal – light bright and delicious looking! 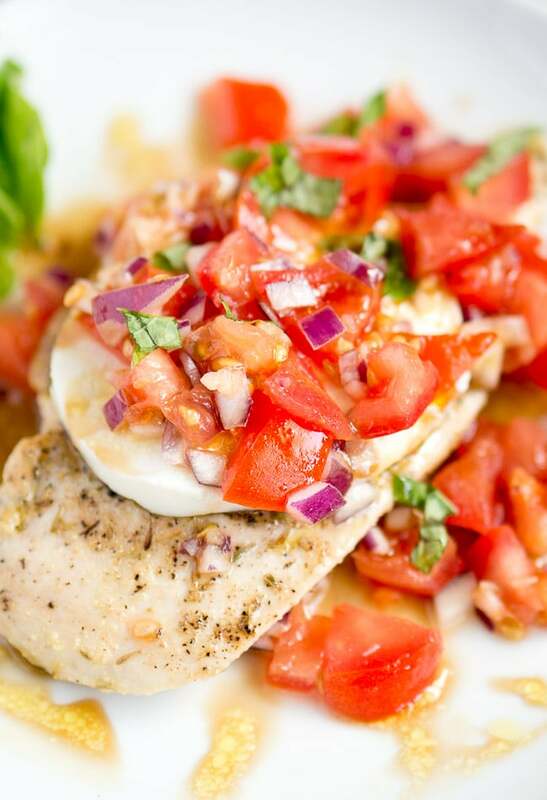 I’m a fan of caprese anything! Sounds like a winner! Thanks, Katie! I love anything with tomatoes too! I am still getting tomatoes and basil from my garden and this could not be a more perfect way to use them. Lovely dish and beautiful photos! This is gorgeous! So vibrant and fresh I just want to stick a fork in it.